These pleasant sisters hotels Edelweiss and Bor are situated close to the famous ice fountains in this lively resort, the good value and comfortable, both are well established and have a friendly and convivial atmosphere. Guests also have use of the various facilities in the Hotel Edelweiss, the two hotels are located 150m away from each other. Bor has 49 bedrooms and Edelweiss has 71 bedrooms. Standard rooms have twin beds, private facilities, satellite TV (limited channels) and telephone. Some rooms can take a third and fourth bed which is only suitable for a children. Both hotels are of the same standard and have identical room facilities. Good buffet dinners accompanied with live music each evening. 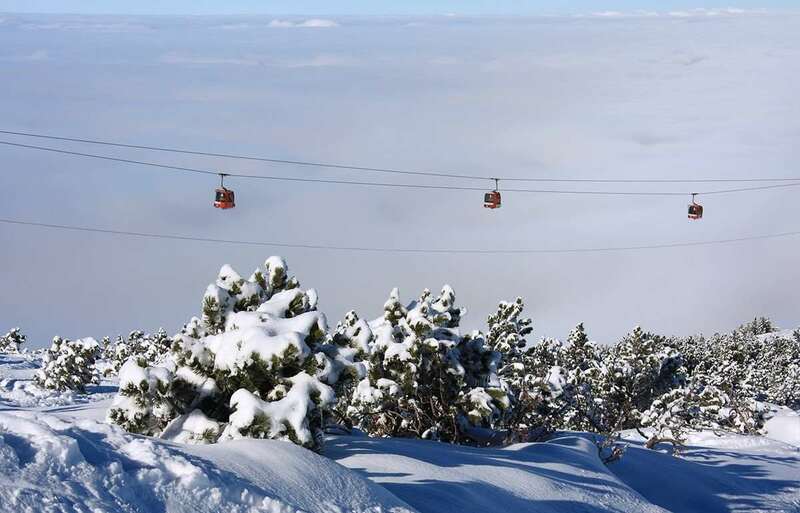 Borovets is a small fairly lively resort. The staff and locals are all very friendly and make you feel very welcome. Plenty to do in the evening whether you are after a quiet pub or a lively bar/club. The skiing is good for beginners with excellent facilities for learners and ski schools for all ages. Having said that it can get rather busy. Not much available for snowboarders i.e. could do with a snow park. The Hotel Bor was very basic, but you definitely could not complain bearing in mind how little we paid. The food was good, but like in all of Borovets hotels, fairly random. All the excursions were excellent value for money. Give Bulgaria night a go! Excellent value for money for first time skiers.